HELVICK HEAD: A Great Shearwater, 8 Storm Petrels, 11 Common Scoter, 3 Great Skuas, 7 Arctic Skuas, 3 Pomarine Skuas & 10 Puffins flew west. DUNGARVAN: 63 Little Egrets, including 51 at Killongford. BROWNSTOWN HEAD: 2 Arctic Skuas west, a Great Skua & a Black Guillemot east (1-hr seawatch 1345-1445 hrs); also a Hummingbird Hawk-moth. Nr LISMORE: Jay at Ballyrafter House Hotel; Yellowhammer & recently-fledged Spotted Flycatcher at Ballinanchor. Nr AGLISH: Blackcap & 2 Yellowhammers, also a Clouded Yellow. 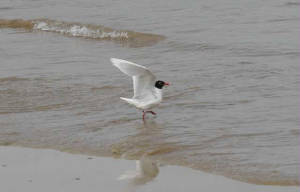 CLONEA STRAND: Adult Mediterranean Gull, Ballinclamper. BROWNSTOWN HEAD: Migrant moths included a Vestal & a Scarce Bordered Straw. Near TALLOW: 3 singing Yellowhammers. 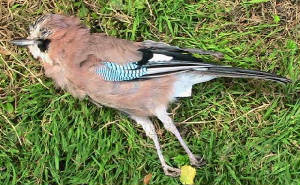 Near LISMORE: Jay found dead. LOWRY BRIDGE/WHITESTOWN, nr Mothel: Blackcap singing. CURRAGHTAGGART, nr Clonea Power: Spotted Flycatcher, 5+ Emperor dragonflies at a small (artificial?) lake. 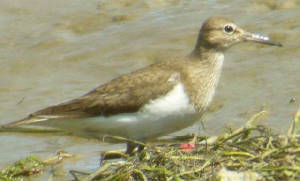 DUNGARVAN: Common Sandpiper along Brickey river. PORTLAW: Kingfisher carrying food to nest burrow, also 2 Stock Doves, 2 singing Blackcaps. 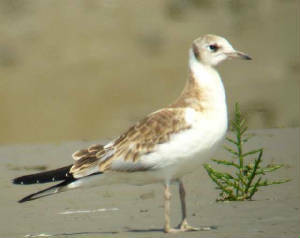 ARDMORE: 2 Mediterranean Gulls (adult + 2nd-summer); 2 Stock Doves & a Spotted Flycatcher north of Ardmore. 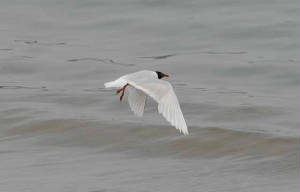 PAULSWORTH, nr Ardmore: Adult Mediterranean Gull. KNOCKBRACK QUARRY, nr Clashmore: 6+ Emperor dragonflies (including egg-laying). BALLYSHUNNOCK RESERVOIR: Whimbrel, 2 Great Crested Grebes & a singing Blackcap. KILMEADEN POOLS: 4 Green Sandpipers & a Stock Dove. HELVICK HEAD: 3-4 Storm Petrels, 2 Pomarine Skuas, 3 Arctic Skuas & 15 Puffins during an evening seawatch. BROWNSTOWN HEAD: Migrant moths included a Scarce Bordered Straw. DUNGARVAN: 23 Little Egrets in Gold Coast/Barnawee area, 2 Common Sandpipers at Barnawee. 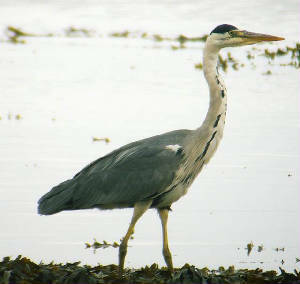 DUNGARVAN: Possible Great White Egret reported in Barnawee/Gold Coast area. Nr KILMACTHOMAS: 2 singing Yellowhammers. Nr KILCLOONEY FOREST: 2 Grasshopper Warblers & 4 Blackcaps singing, 1 Yellowhammer. 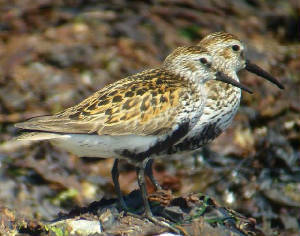 DUNGARVAN: 7 Common Sandpipers, Ballyneety. BALLYVOONEY COVE: 5 Common Scoter. BALLYSHUNNOCK RESERVOIR: Whooper Swan & singing Blackcap; also a Stock Dove nearby. 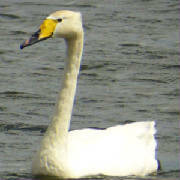 KNOCKADERRY RESERVOIR: Whooper/Mute Swan hybrid. Nr MAHON BRIDGE: 3 singing Blackcaps. TINNABINNA area, nr Youghal bridge: Stock Dove, 2 Yellowhammers & singing Blackcap. BALLYMACART: Singing Blackcaps at Ballymacart & Ballintlea bridges. NIRE VALLEY: 3 singing Blackcaps. BOHADOON MOUNTAIN, nr Crohaun: Grasshopper Warbler & 7 Ravens; also a Clouded Yellow. Nr CLASHMORE: 3 Emperor dragonflies & 3+ Common Newts at pools in a former quarry, also 3 Hummingbird Hawk-moths. BALLINARD: A Pomarine Skua & 9 Common Scoters flew west; also a Hummingbird Hawk-moth. NIRE VALLEY: Adult + fledgling Dipper nr Hanora's Cottage. BROWNSTOWN HEAD: 3 Pomarine Skuas (2nd- or 3rd-summer birds) flew west in 1 hr (1650-1750 hrs), also a Puffin on the sea. BROWNSTOWN HEAD: 14 Choughs; migrant moths included 2 Bordered Straws. KILLONE, nr Knockaderry: 2 Stock Doves, singing Blackcap & a Spotted Flycatcher. LISNAKILL: Singing Blackcap & Yellowhammer. GRALLAGH BRIDGE: Spotted Flycatcher, 2 singing Blackcaps. BROWNSTOWN HEAD: Migrant moths included a Cosmopolitan & a Delicate. RAM HEAD: 136 occupied Kittiwake nests in study-plots that held 204 nests in June 2005 - a 33% decline suggesting total population may now be <170 nests (v. 244 in 2005 & >1000 in 1985); also a Minke Whale & 3 Porpoises. ARDMORE HEAD: 2 Hummingbird Hawk-moths. DUNGARVAN: Apparent hybrid Whooper/Mute Swan at Ballyneety bridge. GORTNALAGHT WOOD, nr Lemybrien: 6 singing Blackcaps; also a Clouded Yellow. BALLYGARRAN/LISSAHANE, nr Knockaderry: 2 Yellowhammers; also a Hummingbird Hawk-moth. BROWNSTOWN HEAD: 195 Manx Shearwaters east in 20 mins (1710-1730hrs) (585E/hr); migrant lepidoptera included 3 Bordered Straws. DUNGARVAN: Turtle Dove feeding on bird table, Abbeyside. Nr SUGAR LOAF ROCK: 2 Cuckoos, a singing Blackcap & 2 Yellowhammers; also a Hummingbird Hawk-moth. LISNAKILL, nr Orchardstown: Hummingbird Hawk-moth. Nr MOUNT CONGREVE: Singing Blackcap. BROWNSTOWN HEAD: An Arctic Skua flew west, a Storm Petrel east and 85 Manx Shearwaters east in 25 mins (200E/hr) afternoon/evening, also 8 Swifts; migrant moths included a Cosmopolitan (3rd county record?). LISMORE to THE VEE: Male Hen Harrier. BROWNSTOWN HEAD: Migrant moths trapped Friday night included a Delicate. Nr LISMORE: Female Hen Harrier. Nr KILL: Singing Blackcap, Bog; another & a singing Yellowhammer, Kilbeg. BROWNSTOWN HEAD: Highlight was a Quail calling just before midnight, apparently attracted to a mercury vapour light-trap used for moth-catching. Migrant moths included another Delicate. BALLYSHUNNOCK RESERVOIR: Summering adult Whooper Swan, 2 Great Crested Grebes & a singing Blackcap. Nr KILMACTHOMAS: 3 singing Blackcaps & 5 Yellowhammers. WATERFORD CITY: An unidentified kite species (suspected Black Kite) flew over Collins Avenue, with 3 Buzzards. 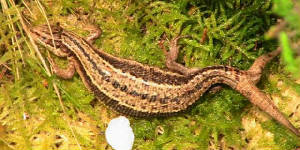 FENOR area: Turtle Dove nr village, singing Blackcap; also 4 Hairy Dragonflies at Fenor Bog. BALLYSCANLAN LOUGH: A singing Reed Warbler (1st site record? ); also 6 Hairy Dragonflies. RAM HEAD: 12 Common Dolphins, 7 Porpoises, a Minke Whale & 2 Basking Sharks. Nr CLASHMORE: Dragonflies at artificial pools here included an Emperor. Nr LISMORE: Bank Vole at Carrignagour. TRAMORE TOWN: Bordered Straw moth.